Twenty five year old Tyrone Wright aka Black The Beast, is quickly making a name for himself as producer extraordinaire. 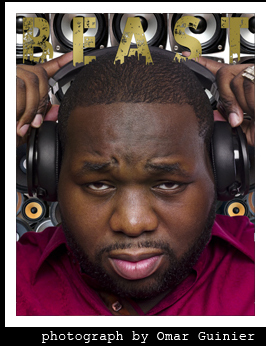 He is owner and CEO of his production company Black The Beast Music LLC. His club hit, "Aunt Jackie" debuted in a Dunkin Donut's commercial with Jermaine Dupri and, was signed to Def Jam Records. "Black", his chosen moniker, and the name most of his peers call him, produced the break-out single "Great Expectations", for Diggy Simmons, featuring Bei Maejor, and the song aired for 9 months in a national commercial for AT&T. Wright, produced 6 original tracks on Diggy's debut mix tape "First Flight" and produced an additional 7 tracks for Simmons' follow-up "Airborne" which earned him an Executive Producer credit. Airbone was nominated #28 on XXL's top one hundred mixtapes for 2010. The track "Oh Yeah" featuring Lupe Fiasco and Pharrell, is still a fan favorite, and was co-produced by Black and Omen. Collectively, between First Flight and Airborne albums the downloads exceeded 400,000 copies helping Diggy to ink a deal with Atlantic Records. Hailing from Harlem, early on he was surrounded by music. His mom was the original lead vocalist of the hit recording group Chic, and he says that his early influences were Teddy Riley, Timbaland, Dr. Dre and Swizz Beatz. Initially his interest started with drums and percussion, but later he moved on to the piano and studied privately for years. He also attended the Harlem School of the Arts, and was a student in the Schomburg Junior Scholars Program. 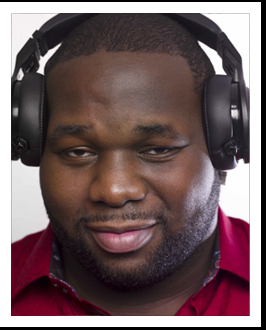 During his teens, he participated in a program, called Pathfinderz, which was founded by rap pioneer, KRS-1. After hearing him play the piano, KRS-1 encouraged him to pursue a career in music production… and the rest is history.